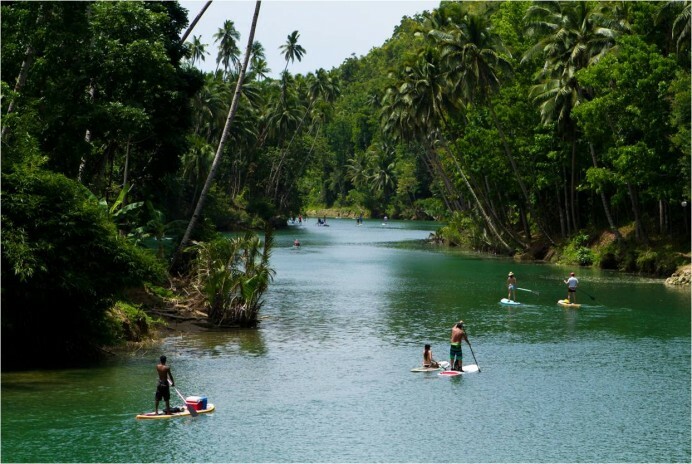 Paddle your way along a river with jade green waters. Roll up your sleeves and enjoy local food the Filipino way. Share a toast as you reach the top of the Chocolate Hills – cheers! Note: We recommend that you gear up your best attire for the water activity before leaving the airport. Rise early and take in the views of the sunrise from camp, overlooking the sea of clouds kissing the Chocolates Hills. Enjoy the morning with a boodle fight breakfast where long tables are prepared with food piled up on top of banana leaves, before heading to your next adventure. Ride your ATV to the base of the hills and continue your journey as you hike all the way to the top. Crack open a cold one with your newfound friends to celebrate your new milestone.